Rapper Eminem and the music production company that helped launch his career are entitled to increased royalties from digital downloads of the entertainer's music on iTunes and other online retailers, a federal appeals court panel decided Friday. The three-judge panel of the U.S. 9th Circuit Court of Appeals reversed a March 2009 jury verdict that Detroit-based FBT Productions was not owed royalties by Universal Music Group for downloads and cellphone ring tones. The lawsuit for breach of contract was brought by FBT against Universal, which distributes Eminem's recordings and is the world's largest music company. 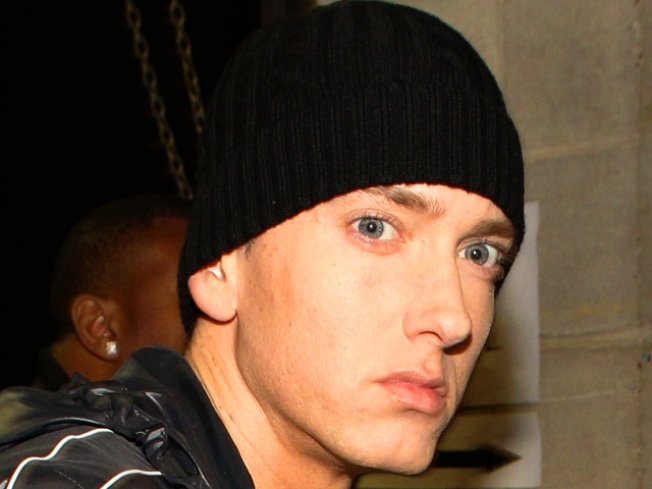 Eminem, whose real name is Marshall Bruce Mathers III, was not a party to the lawsuit, which went to trial in U.S. District Court in downtown Los Angeles last year, although he could benefit from the outcome. FBT argued that Eminem is entitled to half the net receipts Universal gets from digital downloads, instead of the lower split agreed to in the company's first contract with the rapper, signed in 1995 before the explosion in digital downloading. The contract was amended in 1998 when FBT made a deal with producer Dr. Dre's Aftermath/Interscope label, which is a unit of Universal, to release and market his albums. Eminem's breakthrough, ``The Slim Shady LP,'' was issued in 1999. The appeals court ruled that the contracts were ``unambiguous'' with respect to digital sales. The district court ``should have granted summary judgment to FBT,'' U.S. Circuit Court Judge Barry G. Silverman wrote in the opinion. ``We therefore reverse the judgment and vacate the district court's order awarding Aftermath its attorneys' fees.'' Universal argued at trial that downloads from third parties such as Apple's iTunes are no different from any other form of retail sales and are covered by royalty provisions outlined in the initial contract. FBT, which is owned by brothers Jeff and Mark Bass, gets a percentage of the royalties Universal pays the entertainer. At issue are the potentially huge royalties earned when Universal licenses Eminem's music to third-party distributors, such as iTunes and cellphone companies, which market the songs as ring tones. Subsequently, the Bass brothers wrote and produced more than a dozen songs for later Eminem albums on Aftermath, which sold almost 30 million copies around the world, Jeff Bass said. The siblings won Grammys for their work with the rapper. Under questioning, Mark Bass said the initial 1995 contract seemed to cover ``future forms of distribution,'' but at the time, nobody predicted digital would become a major revenue source for the music industry.